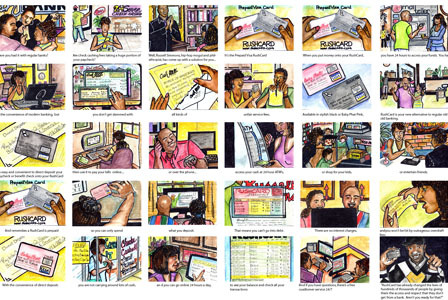 If a picture is worth a thousand words, than a storyboard is priceless. A good one is worth even more, because it’s the link that brings the words of a script to life. It illuminates the writer’s vision and leads to full understanding of a project’s potential emotional impact. It can also save time and money. We create boards that are clean, clear and concise. Let us show you how we do it.